This netbook fulfils the expectations of what a second generation netbook should do, including an impressive user interface and a comfortably usable screen, though at the same time as with all netbooks it is limited in power. 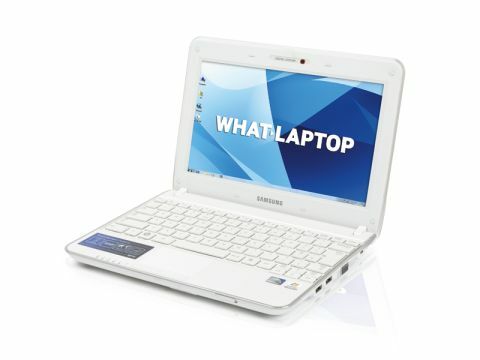 Samsung's N210 netbook comes with a stunning battery life and a unique dual-boot configuration. Available in a choice of white or black, the slim 1.4kg chassis employs a stylish combination of glossy and matt plastics, and feels resilient throughout. The popular isolated-style keyboard design is in evidence here, with all keys well separated and firmly attached. While punctuation keys on the board's right side are frustratingly small, usability is generally strong, although larger-handed typists may struggle slightly. Rather than the glossy Super-TFT screen coating used by most netbooks, a matt-finish TFT panel is used here. While it reduces colour vibrancy, it also eliminates reflections, making it easy to view in all lighting conditions. Equally key to mobile users is the fantastic battery life. While Samsung claims as much as 720-minutes of mobility, we got 624-minutes under test conditions, but this is a stunning result nonetheless and will easily keep you working for a full day away from mains power. While the Windows 7 operating system (OS) is installed, a second, Linux-based OS is also in place. It provides usable and near instant access to the internet, with dedicated apps for Gmail and Twitter access, however it is likely you'll either use it all the time or not at all. As with all netbooks, limited performance is on offer. However Intel's latest Atom technology has been used and allows power for basic multi-tasking, so you can easily work on two or three simple applications simultaneously – such as word processors and email clients. While the N210 does little to push the market forward, it effortlessly fulfils expectations of what a second-generation netbook should be capable of. With stunning mobility, an impressive user interface and a comfortably usable screen, it makes it easy to recommend.